Give your riflescope proper support using the Weaver Six Hole Tactical Riflescope Rings. 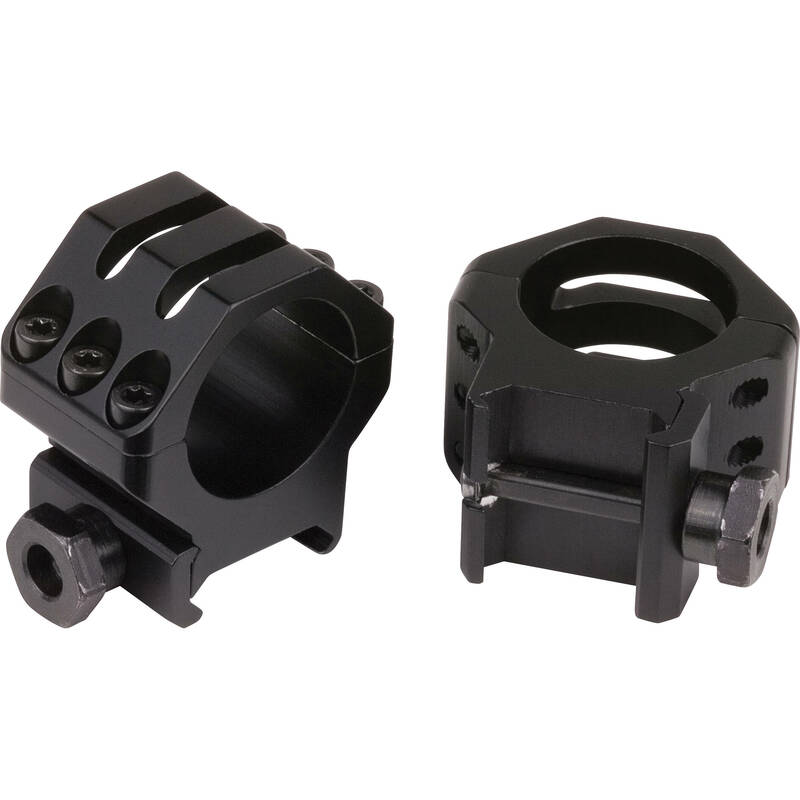 These anodized aluminum rings have six securing screws, each to provide maximum stability when you mount your riflescope on Picatinny/Weaver rails. They accommodate 1" maintubes and feature skeletal design to reduce weight while maintaining durability and strength. Box Dimensions (LxWxH) 4.9 x 4.6 x 1.2"